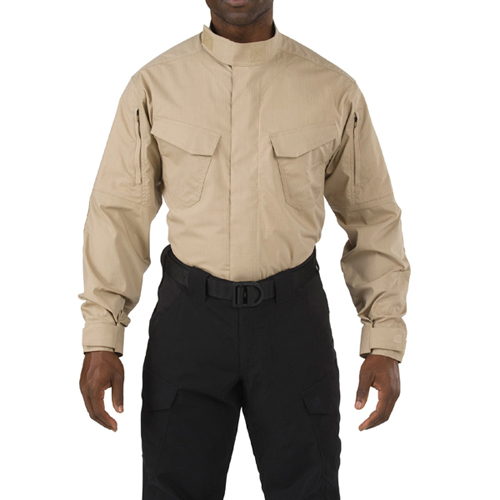 The 5.11 Stryke Tactical Duty Uniform Shirt establishes a new benchmark in tactical efficiency by offering unparalleled maneuverability, utility, and durability in demanding mission environments. 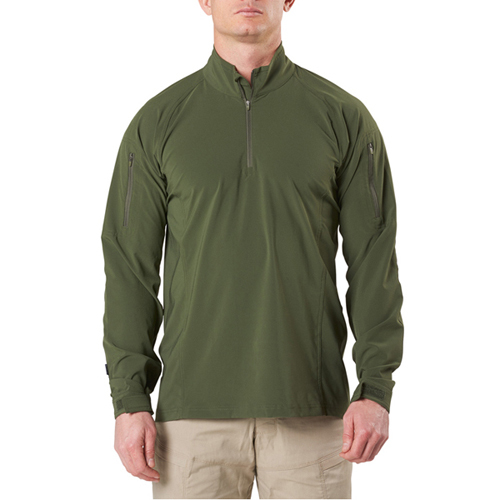 Built from our 4.84 oz. 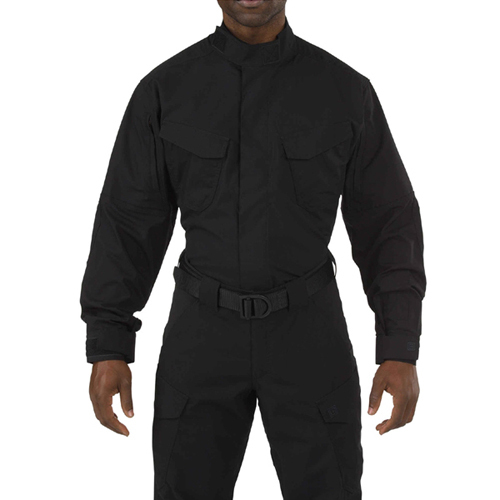 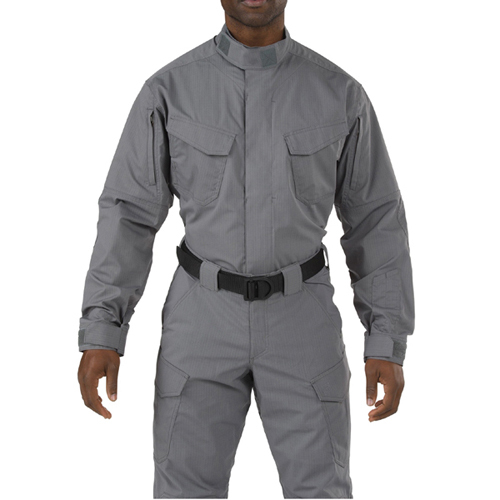 patent pending Flex-Tac mechanical stretch fabric, the 5.11 Stryke TDU shirt features canted front chest pockets and vertical sleeve pockets that provide ample space for your kit, and a Teflon treatment that repels stains, soil, and moisture to provide a crisp and professional appearance. 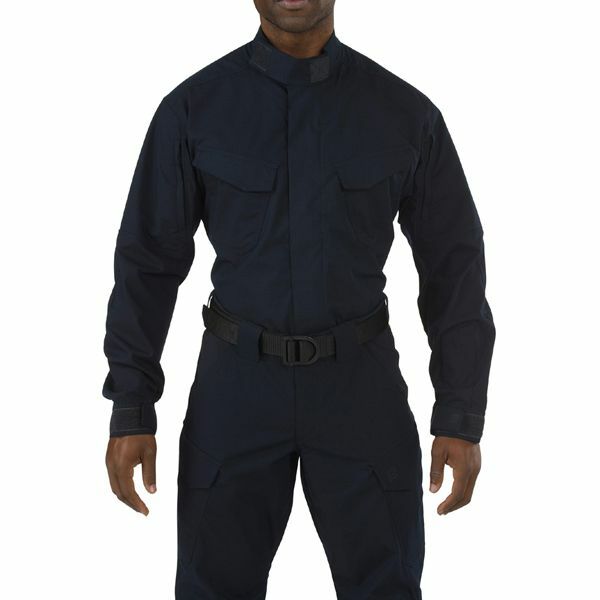 Adjustable cuffs and a full zip front with a mandarin collar ensure a perfect fit, reinforced articulated elbows enhance garment resilience, and the included badge tab, loop patch platform, and epaulette kits allow quick and complete uniform integration.